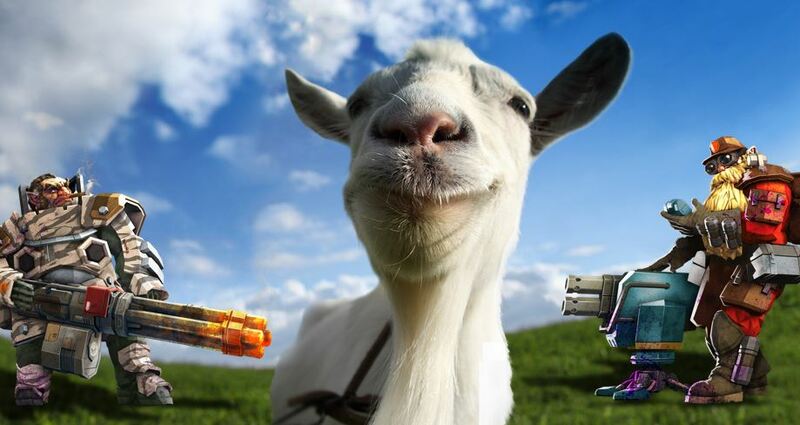 Goats, PAX, Blog & Beards! Sit back, relax and pour yourself a pint of space-ale! We have a larger newsletter for you, trying to catch up on all the crazy stuff happening in and around our development of Deep Rock Galactic. It's been some hectic months and we are not slowing down one bit. Previously, we have split up the newsletter between those inside the Closed Alpha and those waiting for keys. But that's not really "open development", so to simplify things, we have combined them into one newsletter for everybody. CLOSED ALPHA - WHERE IS MY KEY??? Since December, we have been sending out keys in batches to people on this list. And the feedback has been really positive and constructive. With the help our growing community, we have updated the Closed Alpha and will continue to do so until launch later this year. If you just signed up or are still waiting, then don't despair: Good things come to those who waits! We will continue to send out batches of keys, and if you are reading this, chances are pretty good that you'll be included down the road. Oh, and remember to follow us on Facebook, Twitter, YouTube and Steam. Maybe clicking and following us is part of the mystic dwarven sci-fi selection algorithm - who knows? And to those lucky players already in the Closed Alpha: A HUGE thanks for your continued effort in testing and promoting the game. It means the world to us. Some of you might remember us writing about our trip to Dreamhack in the middle of Sweden. What we didn't write at that point, was that we also connected with Coffee Stain Studios, a band of awesome and amazingly nice Swedish game developers. So nice, in fact, that after some negotiations, they have decided to both invest in our company and publish our game, Deep Rock Galactic! You can read about our collaboration here. After the deal with Coffee Stain was sealed, we quickly coordinated a tour to the US. First for the Game Developer Conference (GDC) in San Fransisco and then for PAX East in Boston. GDC was mostly for business contacts and private showcases to streamers and some journalists. You can read a couple of the articles here and here. 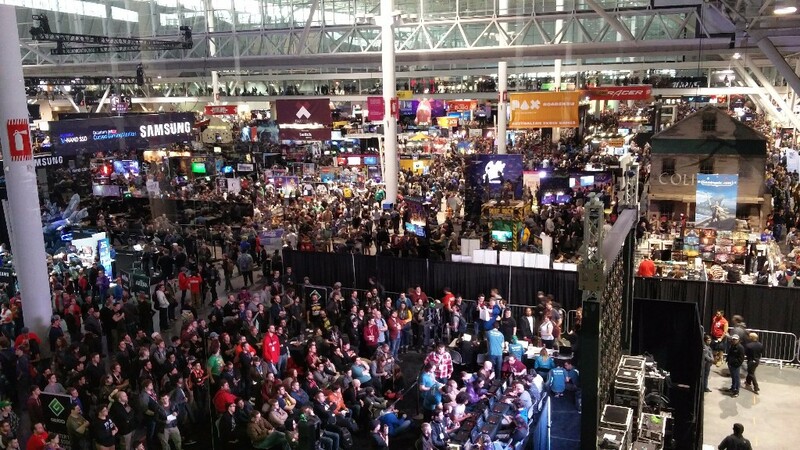 PAX, on the other hand, is a consumer event and one of the biggest in the world. About 100.000 people visit the halls across 3 days of intense showcasing. We spend quite a bit of time figuring out the right setup for a booth, how to man it and solve sound issues and tons of other details. Everything needs to be just right, so visitors could have a good experience both watching and playing the game. 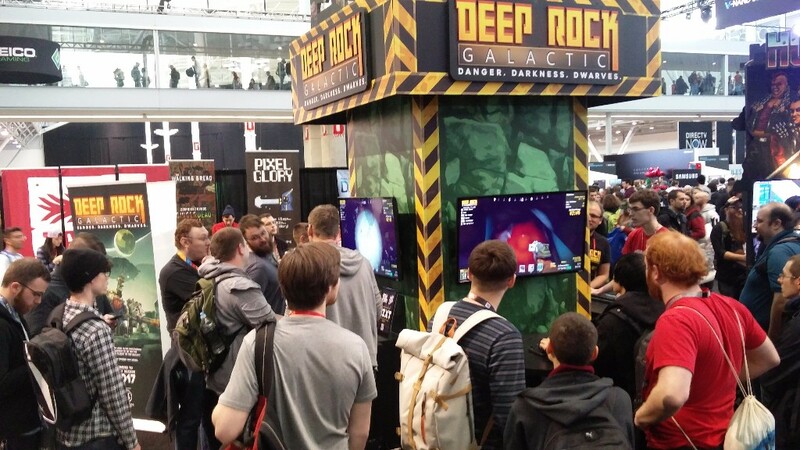 Can you spot our Deep Rock Galactic booth? And it turned out quite succesful. The booth was high enough to be visible from afar and we constantly had people playing and watching. We also gave out t-shirts and asked for sign-ups to the Closed Alpha and it was a great way to get in direct contact with our future fans. Once in while, somebody dropped by that just LOVED anything dwarf-related and it proves to us that we hitting an underserved niche there as well. At PAX, you also meet journalists and streamers, so we got some good connections and some interviews like this one and this one. But it's also very exhausting and expensive to attend the big shows. Now we are planning a bit further ahead, trying to carefully decide where our efforts should go. Of course, most of the time we are developing the game, but we need to keep building the community and promote the game to get a stellar Early Access launch. In between developing the game, making business deals and going to events, we also managed to put a bit of effort into starting a proper developer blog. In the blog, you can read about background story of the planet where the game takes place. And how we envision the concept of Biomes for this game. We also look at the techie side of creating the dwarf armors as well as exploding plants, business deals and evolution of a trailer. Hopefully, reading these posts will give you some insight into the diversity of game development. You can follow the blog either on our homepage or in our Steam community. UPDATE 0.3.1: BEARDS ARE BACK! For those in the Closed Alpha, you can now open Steam and update 0.3.1 will be live on the main branch. For some bizarre reason, we managed to remove the beards in the previous release. It's hard to think of a worse fate for a dwarf! Beards should be central to this game and we are talking about adding features, where players can customize their beards. Heck, maybe we'll even do procedurally generated beards some day! Apart from getting the beards back, there are also many other improvements and fixes. You can read the full patch here on Steam. The Closed Alpha is still rolling, and we'd like to thank you all for the enormous amount of support we've received so far. We've been on this journey for almost a year now, and every moment of it has been a thrill. We're already now working on our next update, which will be quite a bit more impressive than this one. More info on that later. And never forget: Don't run out of flares...it's dark down there. Copyright © 2017 Ghost Ship Games, All rights reserved.